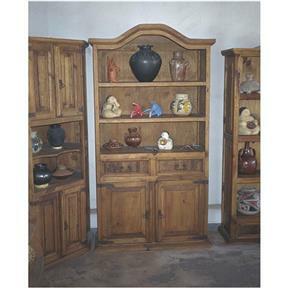 This design with the planked back and adjustable shelves makes a nice display case for either collectibles or books. The two storage drawers have hand cut dovetails. Behind the two doors is a stationary shelf. Size: 74" high by 46" wide and 20" deep. Skill level: Beginner/ Intermediate.